As part of our Guest Posts series, please welcome to our blog Steve Rees. In case you are unaware, Steve plays the most calming and relaxing Harp known to human kind. His music stills the mind, soothes the soul, relaxes the body – and it sounds great too. We are also very lucky to have Steve as one of our Featured Musicians. The following article was written by Steve especially for us here at Calming Music Weekly, so that Steve could share his passion and reasons behind his playing. He has discovered some interesting things about music in general and the healing powers it can contain. Healing Powers of Calming Music. I wanted to share some ideas that I have regarding calming music and why I believe it to be a necessity in our daily lives. 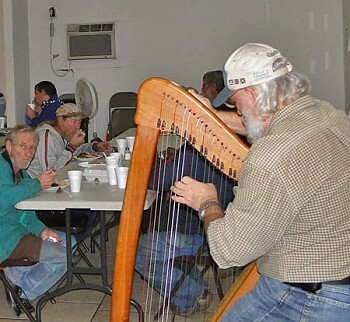 I am a Registered Nurse by profession and as I worked in the hospitals performing hemodialysis treatments I had the idea of bringing my small harp along with me and offering to play for patients that were receiving treatments. As I did this, I started noting positive physiological effects while playing the harp. I would see blood pressure come down; oxygen saturation go up; pain medicine that wasn't working start working; and many who couldn't sleep or were agitated, fall asleep easily. All of these observations encouraged me to begin to study and search out more information on the effects of music on our physiology. As I studied, I began to find information about music's effects on other areas as well. Dr. Emoto's work on water crystal formation under 528 Hz. frequency was a real eye opener for me. Other studies on plant growth and even childhood development were also enlightening. My eyes really began to be opened as I read a book authored by Dr. Leonard Horowitz - “Healing Codes for the Biological Apocalypse” as well as his book, “The Book of 528”. All this information began to convince me that there was really a connection between the frequencies of the music and the effects I had been observing at the bedside in the hospitals that I was working in. I really began to hone in on the 528 Hz. 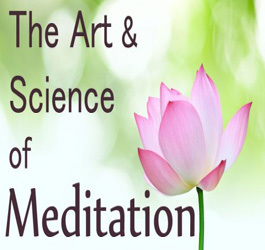 frequency as it is known as the Healing Frequency, the Restoring Frequency, or even the Miracle Frequency. Once I saw the Biblical origins of this frequency decoded in the above mentioned books, I was convinced to start recording in the 528 Hz. frequency for maximum benefit to my listeners. I have had so many letters and e-mails testifying to the wonderful, miraculous effects of people listening to my harp music, and each one confirms over and over again how wonderful this frequency is. I am also becoming aware of not only the frequencies but also the timing and the patterns contained in the music. A book I recently came across, “The Power of Sound” by Joshua Leeds is shedding light on how music can be used to actually tune our hearing as well as most body functions because of the close connection between the auditory apparatus and the major nerves that connect with most areas of our bodies. Our ears are far more than just hearing organs, but rather effect the functioning of our major organs and hormonal systems. Properly designed sounds/music can do much to help correct pathology in these areas and serve to enrich our lives in many ways. As I have come to greater understanding in how music effects our lives especially how calming music offers so many benefits, I have really begun to concentrate on making more of this calming music available through my harp. That lead to starting my website www.calmingharp.com as an effort to present this calming music to a broader audience than I could ever reach personally. I also have many posts of articles and information on the effects of music available to my readers. I also invite my readers to send me articles and information that they come across so that we can keep the learning going. 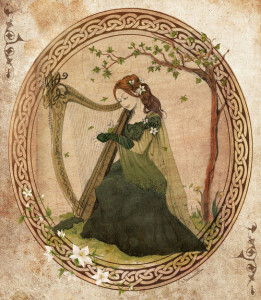 I believe that the harp is unique in producing calming music because of the nature of the instrument. All of the strings are always open, so there are always subtle frequencies sounding underneath the main notes which gives a hole array of warm tones that bring the beneficial effects I have observed so many times. I find that many people who have suffered from insomnia are now able to sleep full nights through when listening to the music of the harp. One of my friends has all my CD's and upon visiting her awhile back, I noted that she was playing them all the time. I asked her if maybe she might get tired of them after awhile. She told me that her days went so much better when this music was playing than when it was not. I have even had one woman write and tell me that she used my music to milk her goats with and it was so much easier and better when she used the music of my harp. Amazing! One of the most incredible stories I have had related to me is from a letter I received several years back. It started out by informing me that I did not know them but that they had been given one of my CD's, “Healing Harp”. The woman went on to relate that her husband had suffered a severe heart attack and while in the emergency room, the doctor had informed her that he would probably not make it through the night. Once the man had been placed into an ICU bed, the wife asked if she could bring a small CD player and headphones and play some music through the night. The nurse agreed, so the wife brought the player and my CD “Healing Harp” and played it to her husband all night. In the morning, when the doctor came into the room, he picked up the chart, looked at the numbers and then looked up at the monitor. He was very surprised at what he saw and asked the nurse if the monitor was properly calibrated. He couldn't believe the numbers and what he was seeing. Three days later the husband was home, well on his way to returning to his life. The wife believes that it was a miracle and that the music was responsible for such a dramatic healing. I'm not saying that this CD will do this every time. I make no guarantees. But I will say that it certainly seems like a great idea to choose to listen to music that has the potential to change your lives in many positive ways. There is just too much information out there to ignore. 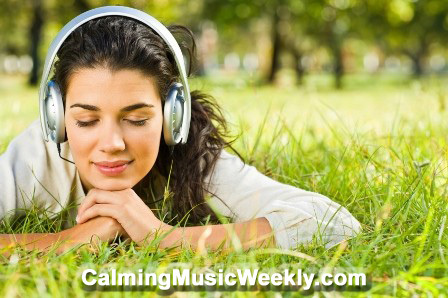 Calming music has benefits to offer to anyone and everyone. I know I'm preaching to the choir. You're reading this post on a “Calming Music” website so you already know how beneficial it is. However, I want to reinforce to you information that you can share with your friends and acquaintances to help them get into the habit of listening to calming music – it's a great habit to get started! 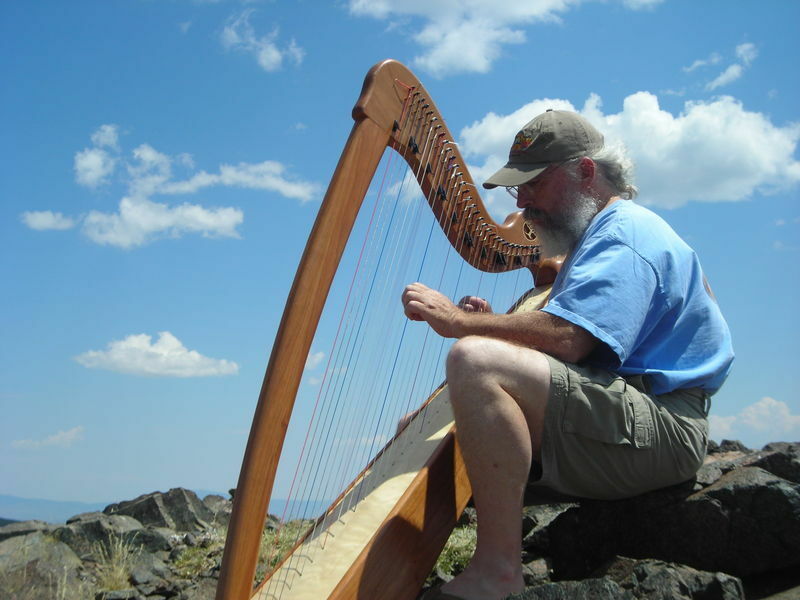 Steve Rees has been playing the harp since 1998 and started understanding the calming and healing power of the harp music as he played for his patients on hemodialysis treatments. Steve and his wife Shirley travel extensively performing around the USA and internationally. Steve enjoys hiking, camping and photography and uses his photos in all of his CD album graphics. You can find great information posts, samples of his music and stories as well as order his CD's on his website: www.calmingharp.com . Steve is excited with all the discoveries coming forth about how this calming music effects the world around us. Thank you Steve - for your contributions to this calming music blog ! Further articles about the relationship between music and healing can be seen here: Medical Miracle Found in Music.